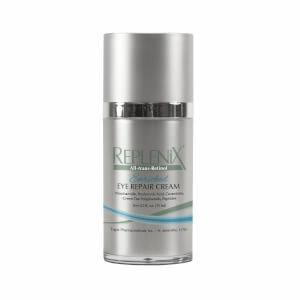 Replenix Eye Repair Cream delivers smoother, firmer and fresher eyes. Its intensive formula contains all-trans-retinol, green tea polyphenols, peptides, and arnica to rid your eyes of dark circles, fine lines and surface wrinkles. Green tea polyphenols make up 90% of the formula to provide heavy-duty protection around the delicate eye area and fight free-radical damage that causes aging. 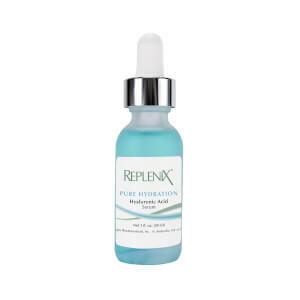 Peptides increase skin's firmness and arnica diminishes bruising and discoloration to erase dark circles. All-trans-retinol erases fine lines and wrinkles to create refreshed, revitalized eyes. Ideal for those with dark circles and puffiness. Suitable for all skin types. Apply around your eyes once or twice daily or as directed by your doctor. Purifified Water, Glycerin, Glyceryl Dilaurate, Acrylates Copolymer, Acrylates/Steareth-20 Methacrylate Copolymer, Octyldodecyl Stearoyl Stearate, Caprylic/Capric Triglyceride, Glyceryl Acrylate/Acrylic Acid polymer, Propylene Glycol, Macrocystis Pyrifera (kelp) Extract, Glyceryl Stearate, Camellia Sinensis (Green Tea) Polyphenols, Myristyl Myristate, Myristyl Laurate, Retinol, Tocopheryl Acetate, Hesperidin Methyl Chalcone, Sodium Hyaluronate, P i n a n e d i o l , Camp h a n e d i o l , Di p e p t i d e - 2, N-Hydroxysuccinimide, Chrysin, Palmitoyl Oligopeptide, Palmitoyl Tetrapeptide-7, Phytonadione (Vitamin K), Silybum Marianum Fruit Extract, Sodium PCA, PEG-100 Stearate, Polysorbate-20, Phospholipids, Hydrolyzed Wheat Protein, Phyllanthus Emblica Fruit Extract, Cetyl Alcohol, Myristyl Alcohol, Lauryl Alcohol, Behenyl Alcohol, Palmitic Acid, Stearic Acid, Lecithin, Ascorbic acid, Arnica Montana Powder, Polyacrylamide, C13-14 Isoparaffifin, Laureth-7, Steareth-20, PVP, Butylated PVP,Caprylyl Glycol, Ehenoxyethanol, Sorbic Acid, Potassium Hydroxide, Disodium EDTA. 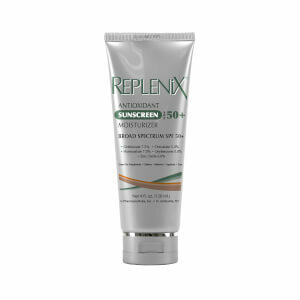 I like most Replenix products, and this one is no exception. It does add a bit of firmness and smoothness to my eye area. At my age, I need all the help I can get!!! I have stayed with this eye cream for quite a while now and feel it does better than any others I have tried and the pricing is good, which of course is a plus. Very Moisturizing as well as tightening. It really works! I recently replaced my PM eye cream with this product. It's fantastic. Should have started using it a long time ago! I have used many, many eye creams but this one is by far the best for eyes. It is smooth and moisturizing and doesn't burn like many others. It can also be used on the upper eye lids. I absolutely love this eye cream. I have used it faithfully for at least 4 years. I believe it keeps me looking much younger than my years.